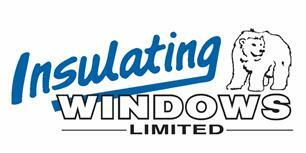 Insulating Windows Ltd - Fascia/Soffits/Guttering, Windows/Doors/Conservatories based in Hemel Hempstead Industrial Estate, Hertfordshire. As a local Hertfordshire company we have proudly been servicing the local community for over 28 years fitting window, doors and conservatories. We also cover the Buckinghamshire and Bedfordshire area and have over 20,000 satisfied customers throughout the region. We are a quality-focused company and we trust that you will be delighted with your installation, as a customer you will always be saying something about us, something good or bad, best part is we get to influence by delivering superior products and workmanship at affordable prices. Please feel free to contact us or visit our showroom where we will be happy to discuss your requirements. We sincerely hope that you will join our long list of satisfied customers.